Or but subserves another gain. So runs my dream; but who am I? And with no language, but a cry. So here I am again, pondering upon my nature and what has brought me to where I am now. Hope. For a long time, I had no hope. I had no hope of ever seeing Josette again although I kept trying to make it happen. I would stand in her bedroom looking at her portrait and willing her to come back to me. I had no hope of ever going back to my old life before the Curse. Although I had traveled back and forth through time I was unable to find a way to go back to a time before that and put things right. Was good the result of my ill will? When Willie discovered me and released me from my prison I was most certainly not “good” but in the end I did manage to do some good, with help from Julia and Eliot. Julia was one of the strongest and bravest women I ever knew- she gave me hope that one day I would be cured of my affliction. Even though it never quite happened ( that is rather I had an arrestment of my condition) having a glimmer of hope meant I was able to carry on, to have something worthwhile to live for. Having an eternal life can mean stagnation: even though many people long for it, it can be a lonely experience when it means those who share your life with will one day no longer be present, except as ghosts of the past. I fully understood Quentin’s dilemma and why he was such a restless man when he returned to Collinwood in 1970. He seemed aimless and rootless, despite being back in his ancestral home- he was at once an ancestor and an outsider. It took him longer to fit into the family than it did me. His blood was as tainted as mine, but it was less obvious as he walked about day and night, whereas I was confined to the dark recesses of the basement once again. Hope drove me to flee to Parallel Time in the vain hope that my condition would end there. I know now how ridiculous an idea that was. Something else must have driven me there, but I could not understand or explain it. It was a very strange timeband, and at times it was like living in a nightmare and I despaired of ever seeing Julia and those of my own time in Collinwood ever again. Then, as I had just about given up hope and resigning myself to being trapped there forever, Julia arrived. So many times in my life and hopes and dreams never came to me- instead nightmares loomed and my nights were filled with horror. Yet somehow I never gave up my existence, although many times I stood at the edge of the cliffs at Widow’s Hill considering standing there until sunrise and letting the light claim me. My soul saved by the light or destroyed forever? I had seen other of my kind destroyed by the light or the stake and I know that their ghosts could return, such as Roxanne’s but from where they came from, what shadowy world they existed in I did not fully understand. It seemed they had no peace even after death. Hope is part of existence, part of striving to fulfill one’s will and desires, whatever they may be. I learned the hard way that goodness must follow from this striving, goodness must be what drives it: even when what is longed for does not come to be, for the alternative is even more unpleasant. My dear little Sarah was always a good teacher and reminded me of this when I was broken and lost in my ill will towards those around me, hopeless, desperate, destructive. If we give up hope for good, that good exists, then we become lost. Different? How so?” I smiled at the little girl standing next to me peering down into the rippling water. I looked at the face reflected back at me as it wavered over the pool. “No, you have a good nose,” Sarah laughed then she knelt and picked up a stone and threw at my face, or rather the face that was in the water. My face shattered into many tiny pieces as the water claimed my reflection. “So it is,” I agreed. The face stared back at me but this time, it changed in a curious and strange way. I bent down to take a closer look. Then all of a sudden a very fat toad plopped into the water and broke up my face again. As he did so, a heavy cloud covered the sun and I shivered. I lifted my face to the sky and a few tiny raindrops dripped onto my head. The clouds were coming thick and fast and the temperature had dropped considerably. As we opened the front door, we were greeted by my mother. My mother gave me a quizzical look. “My reflection in the pool,” I explained. “Oh I see, well, I will see you at the table,” and with that my mother went into the dining room. “Mother seems sad,” remarked Sarah as we hung up our cloaks. I pretended not have noticed, and told Sarah so, making up some excuse that Mother was tired and did not like the rain; for by now it was raining very heavily. We had to light the candles early which made my father grumble, for being wasteful. He thought it was light enough to see to eat by the firelight and dim daylight, but my mother and I both sided with each other saying we could not see well enough to cut the meat. That night we all retired early, and as I stood by my mirror and brushed my hair I gave my face some consideration. I was looking rather pale I thought, but my father told me that was a sign of good breeding. I laid the brush down and climbed into bed. Blowing out the candle I thought about the pool and how my face had changed. I didn’t mention it to Sarah for fear of scaring her, but for one moment my own reflection had unnerved me, as another face had stared back at me, grinning maliciously, with teeth that had looked much sharper than my own. My face, but not my face at the same time. Had my eyes been playing tricks on me? I reasoned that it must have been the sunlight and rippling of the water affecting my vision just before the toad had leaped into my reflection and broke it up. Some of the local villagers claimed that the pool could show you your true face if you looked into it long enough. Of course, it was all nonsense and my Aunt Abigail tutted and muttered about “pagan ways” whenever she heard anyone mention it. But mirrors, well they showed you your true face didn’t they? Abigail thought so. I told her that it was impossible to see one’s own true face as it was always in reverse, and that a good artist could show one their true face more accurately. On a whim I had a local artist paint me, and many people said it was an excellent likeness and I thought so too, although when I held it up to the mirror and looked at it and myself I could see many differences. “What on earth are you doing Barnabas?” My father asked when I was studying the two faces in the mirror. I sighed and laid my portrait against one of the chairs. How I wished I was not my father’s clerk! “Yes, I will see to the figures Father,” I sighed and went to the study. I could never have known it then, but that portrait became rather a talking point over the two centuries at Collinwood. A very clever woman came to the old house one night in 1967 and brought me a book of the family history, one that had reproductions of family portraits in it. She used this as a way to distract my attention whilst she took out a small mirror and attempted to see if I would appear in it for her or not. I was very angry of course, for a vampire can never reflect his likeness in a mirror, but I pretended to believe her absurd story about checking her cosmetics. Her own vanity betrayed her: for she thought herself cleverer than she actually was. I knew she had seen only the candles in her mirror. But this vanity of hers became useful to me much later on, as Julia Hoffman was as determined as I that one day I would be able to look upon my face again, even if it were a version of my face. I must also confess to a little vanity of my own, for I commissioned Sam Evans to paint my portrait, and of course everyone all thought it was of the descendent of the first Barnabas. I took some pleasure in the fact that I chose to pose in a similar way to my first portrait and was emulating my “ancestor.” I enjoyed the little joke. I realized too, that I was taking a risk in my identity being found out one day, but I thought myself too clever for anyone to truly know who I was. I was new to the modern age and the tenacity of the educated modern woman such as Julia Hoffman. To a vampire mirrors hold a morbid fascination- for my face I showed to those around me was never my whole face. The fangs hidden from view could never be revealed except for when it was time to take the blood of another. I showed a version of my face that I wanted them to see: the human Barnabas, and the one I longed to be. The portrait in the foyer was not the real Barnabas either, for he had died long ago, even if he was now in the present. It always gave me a strange feeling to look upon it, remembering the artist painting me and little Sarah’s fascination watching my face appear with each brush stroke. “Will you do a drawing of me?” Sarah asked the artist. “ If you brother says I may, “ he smiled. And so he did a most beautiful drawing of Sarah, but sadly she lost it. One of the servants carelessly used it to light the fire- it had fallen onto the floor one night and in the early pre dawn light, the stupid girl had taken it thinking it one of Sarah’s discarded spelling papers and twisted it up to use for kindling. We knew nothing of it until Sarah came into my mother’s room crying, saying she could see one of her eyes, and the corner of her face burning in the fire. The artist had gone away to visit his own sister, so we could not ask him to draw another. I made some clumsy attempt to replace it but drawing portraits was not one of my talents. That night in 1967, I resolved to be more careful about being near mirrors, except the one in Josette’s bedroom. Very few people were allowed in there. Her room was to be a shrine to her memory and it drove me to do some terrible things. I made Maggie Evans sit at that mirror many times and see Josette in it instead of herself. But even I could not make this last- for when we look into a mirror, we see a version of yourself, and sometimes we will not like what we see. Maggie did not like to see Josette, and I understand how wrong that was now. I secretly envied her to be able to look into her own face and know who she was, although I never admitted it or even gave her a hint I felt this way. It had been a long long time since I had known who I truly was. It was a dark stormy night and the frigid air clung round me like death’s hand. I shivered in my nightgown as my hand trembled clutching the candle holder as I walked down the corridor to my bedroom. I had just put my hand on the door knob when the front door opened to the howling wind outside and a bellowing made me jump almost out of my skin and drop the candle. I peered over the banister to see my father’s face red as thunder looking up at me. Slowly, I made my way down the stairs, trembling with cold and apprehension. I knew I must have angered my father, but I didn’t know why. He’d been away for two days on business and I’d hoped to be in my warm bed asleep before he returned. He often returned in a bad mood when he had to travel in bad weather. I wrinkled my face up in confusion. What was a hussy? “I- I don’t understand,” I managed at last, my voice cracking in a squeak. My father glared at me. My father snorted and tossed his head in the air and then looked down at me imperiously. My father was a prideful man who wanted the Collins name to be one of honor and honesty. I understood that, but at this moment I simply had no idea what he was talking about. My father raised his hand as though to strike me across the face. Instinctively I stepped back before his hand met my cheek. “Oh her–” The image of a tawny haired girl who everyone said was a harmless idiot, whose name I wasn’t sure of- was it Betty, or was it Netty? I lowered my head thinking of the night my mother lost a boy and girl, so malformed as to be hardly called babies. “I’m- I’m sorry about them. I wished they had lived.” My lower lip trembled. I had so wanted not to be an only child. “Yes, go on with you.” My father began taking off his coat and muttering to himself about fools, idiots and imbeciles. I dashed up the stairs not wanting to hear another word of it. Perhaps he was right about those villagers, but at least they were good natured I thought. I smiled to myself as I got under the blankets and leaned over to the candle and blew it out. As I lay my head on the pillow the darkness enveloped me and I fell into a dream. A man stood at the edge of a cliff as the wind whipped frantically around him, pulling at his cloak savagely. The fiddler danced perilously near the edge laughing hysterically. The man rounded on him furiously, fire in his eyes. The fiddler looked back at him terror in his eyes. “Stay away from me!” he shrieked, dropping his fiddle and running as if the Devil himself were after him. The other man turned to look at the fiddler and then looked down at the rocks below. “Oh nooooo–” he groaned, his shoulders heaving in deep grief. Then there was an almighty bang like thunder, and I sat up, now wide awake. Voices rose cutting into the darkness, the sound of a vase crashing onto the floor. I lay back down sighing as I heard my mother weeping. I longed to leave my warm bed, and throw my arms round her and tell her it would be allright, but I did not dare. For we both knew it would be a lie, another story I was telling both myself and my dear Mother. I tried to go back to sleep, but the yelling of my father and my mother’s cries assaulted my ears and heart. I tried to think of a happier time, a time when my father had been away for three months and it was just me and her. Well, there was Aunt Abigail, who often scolded me for taking the last slice of cake, but she was always in her room reading the Bible and sewing stockings for the church to give to the poor. At that she turned away, so that I didn’t see the tears glistening in her sad eyes. But it was too late- I had already seen them. I squeezed my eyes tight shut, trying to not to see the images in my dream. Was that a story too? Dreams often seemed like stories to me. I had no idea where this one came from- it was so strange. Eventually sleep claimed me and I fell into another dream, another story. This time there was a man wearing strange clothes and talking to two women in a big house I’d never seen before. They were dressed strangely too-, but they were pretty. The blonde haired one seemed very scared at the story the man was telling but the other one was listening fascinated. The man stood in the shadows, so I couldn’t see his face, and I couldn’t hear his story either. But I knew it was a frightening tale. When I awoke, I had forgotten this dream, this story, and it wasn’t until many many years later that I remembered it. I couldn’t remember the women listening to the man’s story, but the story itself made itself known to me. Perhaps I’d known it all along- after all it had been my dream. A story or the truth? Maybe it was neither, but I told it all the same. Contrary to my father’s wishes, I became a master storyteller. I shall speak more about this another time. Winter Solstice has now passed and soon the days will lengthen once again until the hours of daylight are longer than the hours of night time. Of course at the moment this seems and feels very far away. For one such as I the night time is both welcome and unwelcome. Long dark winter nights can make us long for the Sun and its warmth but for one such as I am, it means death. It must seem strange to associate the light with death, but that is what my kind exist with- the reverse of the natural order. For it is true I have been made “unnatural” – in human terms at least; for there are animals that are solely nocturnal. So I am now a nocturnal being. I once talked about the beauty of the night and moonlight to Victoria Winters but to my dismay she preferred the Sun and daylight. I had hoped at the time, her being somewhat of a whimsical romantic, that she might prefer the night and the soft light of the Moon. My heart ached as she spoke enthusiastically about the daylight and the warmth of the Sun, for I could not share this feeling with her, despite yearning to be able to. So, I convinced myself that perhaps the Moon’s beauty was the greater one and hoped to convince the lovely young woman whose face was gently bathed in its light that moonlight was the most beautiful. One thing I learned from our little talk was that both the Sun and the Moon have a beauty that is of their own- different of course, but equally beautiful. There are many mythologies about these two globes, which I will not go into here, but I will talk about what they mean to me personally. The Sun brings light and warmth and life- all living things need light to thrive. But not for me. One such as I fears its rays touching me even for a second. The Moon is not a harbinger of light but ebbs and flows, grows full and then turns into a mere sliver in the night sky and of course it creates the tides of the Sea. Yet when it is full it lights up the sky like a lantern. I have good night vision so I can see quite well in the dark, but I have always been glad when the Moon is full when walking at night for it is a strange comfort to me, acting as a substitute for the Sun that would mean my destruction. The Moon becomes a companion to the vampire, for it is the only natural light that he can safely raise his face to. I expect that is why I have always been averse to electric lighting- for it is harsh and strong unlike candlelight which is soft and gentle on the eyes. As someone who grew up in the eighteenth century I have a special fondness for candles, although I am often regarded as eccentric for this. Yet, I have learned not to fear the Sun any more, nor do I hate it, for I have many memories of enjoying its warmth on my face, spending long summer days on the Collinwood estate as a boy. The memories are bitter sweet of course, but that part of my existence I don’t wish to forget. I even had some time in the twentieth century when I could walk in the daylight again, and it was a great joy to me, even though at the time I was not able to spend as much time savoring the experience as I wished to due to poor Chris Jennings suffering from his werewolf curse. It was a strange irony to me that he hated and feared the night time when the Moon was full, as it meant he would lose his humanity for the night and transform into something inhuman, when here I was human again and able to walk in both sunlight and moonlight and enjoy both equally. I had not forgotten how this felt, and was always expecting that it would not last, and once again I would become the nocturnal creature I had been for almost two hundred years. Chris never knew why I felt the compassion for him I did, but nevertheless he accepted that I did and wished to help him find a cure of his affliction. I have spoken before about Chris and my failure to help him, so I won’t go over it again, but I do wish to say that for him, the Moon only brought ugliness and never any beauty. Many people associate the Moon and night time with romance- it has been in many a love song and poems. Even I tried to find the romance in the night; courting Josette and later Roxanne and as mentioned even Victoria, but it was all hopeless as for it would ultimately have meant they would needed to have become as I am, for my nights were long, and then would become short, always opposite to theirs- Sun and Moon, night and day- opposites and often in opposition. Well, that is how I saw it, for how could I hope to exist in such a way all alone yet at the same time be in a state of opposition to my beloved? I did not want any of them to suffer my affliction and came to see in time, that the only way I could exist and love was to compromise. I did not know it then but things were about to take a very unexpected turn. Into the old House one night walked a bold and capricious woman, with a very direct manner to which I took immediate offense (although I maintained a polite facade) who would help me see a light in the dark, give me hope. Her name was Julia Hoffman. It is often said that life is a journey. But if that is so- just where are we going? What is the metaphor behind this statement? Of course we all have to go places in everyday life- that is not what I’m talking about. Life itself- a journey. Like all journeys it suggests there is a beginning and an end- to someplace from someplace. When we die does the journey end? If one is immortal as I am, then the journey is a never ending one. Perhaps that is neither here nor there, but it has gotten me thinking of what this could mean for one such as I. Can a mortal’s journey be completed as mine never can be? Is life then death the beginning and the completion of the journey, or are one’s life experiences, desires, hopes and dreams the real journey? I have seen that many peoples’ lives come to an end with the sense of not having completed what they wished to complete- there was not the opportunity perhaps, or never the time. Time is something that passes for all of us, yes even I, although I have experienced it in very strange ways- I have gone forwards and back in time many times and found that whilst some thin gs were very different, some things were very much the same. Without exception, everyone I met in every time I found myself in was in some way a reflection of the time they were inhabiting. I am one example of this. Born in the 18th century, no matter how much I tried to fit into the time I was currently inhabiting, I was still of my own time- the late 18th century. It always felt strange to me during my time travelling with Julia to refer to the late 1960s or early 1970s as going back to “my time” or “our time.” Strange in two ways- firstly, my time was the late 18th century, and secondly we were actually going forward in time ( from 1897 or 1840 and sideways too if you wish to consider 1970 parallel time ). Oh and there was one time when we actually did go “back” to our own time- from 1995. But usually we were going forwards, but Julia and I always referred to “going back” to our own time! In some ways I was an orphan of time- no longer living or existing in my own time, except when I briefly went back to 1796 to help Vicki and Peter Bradford ( and also a second time when I followed Kitty Soames to 1796 from 1897). Julia was very afraid for me when I willed myself back there as there was a real risk of myself becoming trapped there. It i s quite odd to think of oneself as trapped in a time that they were born in. But fate had brought me to the twentieth century, and despite the trouble that followed me there ( some of it of my own making I admit) it seemed that this was where I belonged. It turned out that the modern Collins family needed me to protect them against many evils and threats to their happiness and safety, so awakening in this new century I became part of their lives and time and the past where I was from, began to seem further and further away. Yet, the past still drew me back- to the nineteenth century- a time I most definitely did not feel I belonged in. The same thing happened to Quentin- of this century, he too became immortal due to the portrait painted of him by the artist Tate and one day he turned up in Collinsport in 1970, although he took some time to remember who he was. Once he did, he seemed to seamlessly fit into the twentieth century in a way I never quite managed to do. I don’t quite know how or why he did so- perhaps he wasn’t that fond of the nineteenth century and enjoyed modern life and all the new things that could be found there, and the greater freedoms of this time. He was never “old fashioned” in the way that I am. Vicki seemed to like this about me however, and I wish that I’d been able to share with her who I really was and my experiences of the past, the present and how they differed and yet in some ways were similar. People still yearned to be anywhere than where they were, or who they were, wished they could change their circumstances, felt their dreams slipping away from them until they felt nothing but hopelessness. The Quentin Collins I met in 1840 even built a staircase that he hoped would take him into another time where hoped he’d be happier and have a different life. He never imagined that it would be used against him ( in the accusations of witchcraft) and that only I, Julia and Professor Stokes would be the ones to walk up and down it into the past and then the future. In that way the staircase could be said to be a success for it worked as Quentin planned it to. But Vicki- oh Vicki…she belonged in 1968, yet she followed Peter Bradford back to his time. I could not stop it. She had already been back to the 18th century and nearly lost her life- I simply could not understand why she wanted to go back to such danger. Yes, I know she loved Bradford, but their fate was not a happy one, just as mine and Josette’s never was, and much as I tried to change that, it proved impossible. Josette even tried herself by pulling her future self in the body of Kitty Soames back to 1796 and still Josette died young. The tragedy of that haunted me greatly. Poor Kitty suffered the confusion of her identity and time took her life prematurely from the 1897- the time she belonged in. I see now, it was wrong of me to have tried to get her to remember who she had been, but Josette’s spirit lived in her and was calling to both myself and Kitty, longing for a second chance at life- and my love. Our love. I hoped that I could bring Josette back or forward if you like, to 1897, and then on to 1969 where we could at last be together. But those hideous Leviathans captured me in some strange place between time and Josette was lost to me, in the past. Of a night in the Old House when Willie had gone to bed, I sometimes would sit on her bed looking at her portrait and imagine how she’d be in the twentieth century- would she feel as I felt? Someone out of time? Or would she have been like Quentin and eased into this new century eagerly? I often think that my out of place feelings were due to Josette not being with me, for she was lost in the mists of time to me, but then Quentin had lost everyone he knew too, and didn’t seem to feel as lost as I often felt. Before my life took an unfortunate turn, I had never given much thought to the time I lived in- it just was part of who I was- I never gave much thought to the future, what another century might be like- only my own future with Josette was in my thoughts, and the family we hoped to raise. The journey we planned together, was the same as everyone else’s that we knew- marriage, children, growing old together. Instead, Josette’s was cut short and mine altered into something I could never have imagined in my worst nightmares. Yet, here I still am – having experienced travels across two centuries and time bands, hating and loving along the way, meeting people and losing people along the way. All these are reflected in who I am, are part of who I am. My experiences, whilst now are past, belong in the past, still live inside of me. This is true of all of us- who we meet, where we go, what we do- they exist in our minds, in our hearts and our souls. We might not be able to forget them, but giving them that acknowledgement can I have found, bring us to if not quite peace, but a feeling of acceptance. Regrets, we are often told, should be let go of, and this is often a good thing to do, but some regrets allow us to realise where we went wrong, did wrong and vow never to make those mistakes again. The destination is important, but also the journey to that destination- how we get there is equally so. Life, if we let it, is also a lesson. I have had many lessons, so forgive me if this sounds like I am giving whoever reads this a lesson. All of us, myself included are students in life. It took one little girl to remind me of that in 1967- a very simple lesson- be good, try to be good. I had almost forgotten that. I had taught her that, then she was teaching me- in her innocence and simple beauty I hung my head in shame and regret, my eyes filling with tears as she left me- her own eyes full of sorrow for what I had become. My journey to finding my goodness again was still far away. I sat back and closed my eyes contentedly, feeling the warmth of the fire on my face, and the brandy warming my insides. My belly was happily full from a good lunch. Life was good. “I’m happy mother,” I replied simply. “I don’t quite know,” I mused. “ It can’t be just a good dinner, a warm fire, this brandy-” I looked into the amber liquid and swirled it round in my glass. My mother came to stand by my side. We stood in silent companionship looking at the expanse of white that covered the grounds like a blanket. A sudden chill came over me and I shivered, then in one fleeting moment it was gone. I turned away so that she would not see the confusion on my face. I’d been so happy all afternoon and in a mere moment, something I couldn’t explain had come over me, I was not a man given to bouts of melancholy, so it was all the more puzzling to me. “Yes,” I said, and walked over to my chair and poured more brandy into my glass, and with perfect timing in walked my Aunt Abigail. “I hope you don’t plan to finish that bottle, and sit there stupefied all afternoon, Barnabas,” she said in a scolding tone. “Well you wouldn’t, so I won’t be the one to spell it out.” With that she opened the Bible she more often than not had in her hands. I sighed, waiting for her to start quoting me chapters about the evil of “strong drink” when the door opened and in flew little Sarah. My mother moved away from the window, and smiled at Sarah. “I don’t see why you can’t go out with Barnabas Sarah, as long as you wrap up warmly. That’s if he wants to go with you.” With that she looked at me for my assent. “I will,” I promised, smiling affectionately at her, amused by her excitement. My aunt made a harrumph sound and I looked over at her sitting there stiffly in her chair. She met my gaze, a frown turning her mouth downwards. “I don’t know what you mean,” I said puzzled. 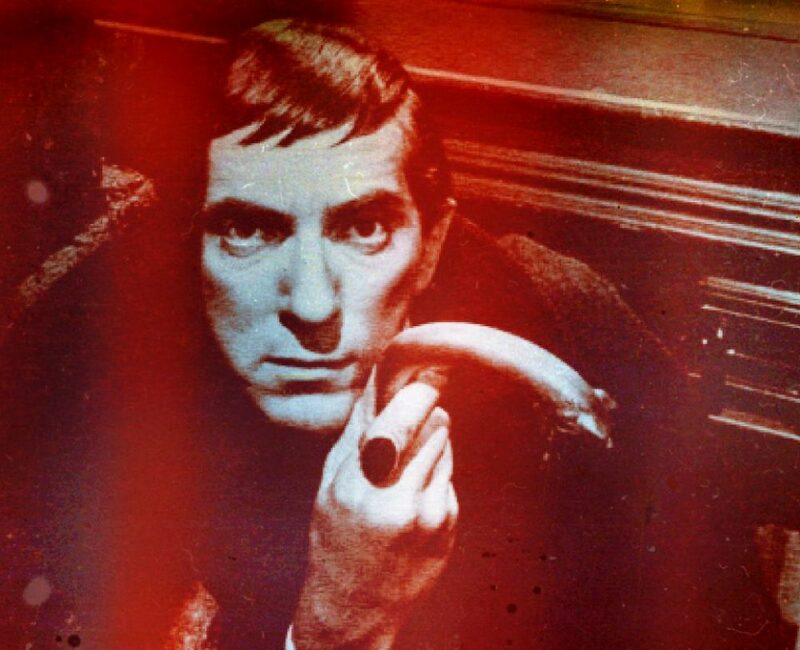 “If looks could kill Barnabas!” she exclaimed, looking away momentarily then down at the Bible in her lap. “Now just what are you talking about Abigail?” My mother’s voice took on a sharp tone. “Have a nice time,” my mother said. The snowman proved more difficult to make than we imagined, for our hands got very cold and we had to keep blowing warm air from our mouths every so often to ease the stiffness of our fingers. We soon found out wet gloves were an impediment to snowman creation. A little bird flew down into one of the low branches in the trees and watched us set the carrot into the snowman’s head. If there was one thing above all I loved about my sister it was her inherent kindness, her purity of heart. “He will,” I said smiling. When I returned Sarah was playing her flute and the bird was cocking his head, appearing to be listening to the piping sounds. As we neared the tree the bird flew up into the next branch watching us, then swooped down to the ground when we moved away. I took Sarah’s little button box out of my coat pocket and handed it to her. She chose two bright blue buttons for his eyes and I helped her push them into his round face. I reached into my pocket again and handed Sarah a piece of thick red thread. Sarah giggled, enjoying the secret. We pushed the thread into the snowman’s face and Sarah pulled the thread up at each end. We stood back and looked at our snowman. The being of ice stood there comically, his buttony blue eyes gleaming in the frosty daylight, smiling at us as though he was very glad to have been created. “That is blasphemous,” Aunt Abigail said as we came into the drawing room to warm ourselves by the fire and told our mother about our snowman. “Oh Abigail be quiet!” My mother tutted. “Have you not thought Aunt, that by naming the snowman Adam that we acknowledge God’s creation?” I said in my best soothing and charming manner. “You will always have my love,” my mother said warmly. “And mine too!” Little Sarah hugged me tightly. I wrapped my arms about her warm little body and kissed the top of her head. “Happy New Year darling,” I said softly into her long brown hair. “The best,” I said, looking over her head gazing at the snowman stood outside, and watching our bird soar into the sky, his belly full of the bread we had given him. He flew high into the cold still air, and then vanished from my view. I had the feeling that we would never see him again, which made me feel inexplicably sad. The sun was setting, shadows began to fall around our drawing room and I let go of Sarah in my arms and began the evening ritual of lighting all the candles. Sacrifice– the word doesn’t even sound nice to one’s ears does it? It is even less pleasant to write about, but write about it I must. For sacrifice has featured many times in my life- I have been both the victim of it, and the cause of it. I sacrificed the happiness and lives of others for my own selfish desires. Then racked with guilt I spent a few years after that willingly offering myself up as selflessly as I knew how to ensure the safety and happiness of my family and friends. But even then others made their own sacrifices along the way, either through knowing me and working as my allies or getting in the way of our mutual enemies. It seemed that even when I was putting myself last I collected some victims, which caused me great sorrow. Death followed me like a shadow- my curse saw to that. Of course, some of this was because of my need for blood. I could try and fight the desire for it of course, but ultimately the cravings would get so immense that the thirst overwhelmed me and I could bear it no longer, and I knew that someone would have to offer me their blood so that I would be satisfied. At times, I was offered it almost willingly but it was nearly always to their detriment and I tried to take as little as I could, but once the hot sweetness filled my mouth I often felt crazed for more. Disgusting as this sounds, there was sometimes a special feeling of intimacy when I felt an emotional bond with the woman I was feeding with: Josette- Roxanne- Vicki, and even to some extent Charity Trask. For them however, there would always be a price- their life if I continued to accept their offerings to me. Love often does mean that we make sacrifices- such as putting ourselves out to help our loved ones- perhaps missing a trip to care for them when they are sick, but to die- to die for it— no, it should not come to that. I am aware that some lyrics of popular music express the sentiments “I would die for you, I could die for love” but I strongly suspect that this is being overly dramatic- few of us would usually equate love with death- this is more the prerogative of Romantic poets. Sometimes I didn’t even know whether I was the victim or being victimized such was my confusion during those dark days of 1967. Josette’s spirit left the Old House when I went to live there and I was alone in a strange century with people I didn’t understand and mistrusted their motives. Those years of 1795-6 were still vivid in my mind- I had vowed only to hate after Josette had fled from me and fallen from Widow’s Hill, all because she didn’t want to pay the sacrifice to be with me. Even in my anguish I understood and did not blame her for it, but my heart was broken that she was afraid of me. I staggered away from the cliffs, and later vowed before Ben Stokes that I could only hate from this moment on- love had ruined me. The subversion of love if I may call it that- of the witch, twisted into something vile, turned me into something loathsome. I was no longer the person Josette had fallen in love with. With her gone I turned my rage onto those around me in my own strange sense of justice- Nathan Forbes and Reverend Trask. Reverend Trask despised me; perhaps he sensed that I was in a way a strange subversion of the religion he preached so avidly- his Lord had offered his own blood selflessly so that he may save the souls of others, but here was I taking the blood of others so that I would survive yet another desperate and lonely night. In the end I snuffed out his life as he took Vicki’s life- he sacrificed her innocence for his own egotistical and misguided ravings, whilst the real witch amongst us gloated. She made fools of us all for a long time and when I realized what she truly was it was too late. My own blood was spilled for a few moments of weakness and ignorance and not only my own life and happiness was sacrificed but that of my dear Josette, my poor little Sarah, my beloved mother- even my father was left a broken man once he discovered the horror of what his son had become. For one such as I, blood, love and death became blurred- they almost became one and the same- sacrificed, sacrificing- lusting for blood, yearning for love, longing for death, trying to escape death, wanting to live- seeking an end to this cycle. My boundaries became difficult to define, difficult to contain, difficult to understand. I found myself taking on various roles, not even knowing what was real much of the time, such was the depths of the deceptions I created for myself. Slowly it all began to unravel, and I began to see that through the sacrifices I had made through my foolishness I could turn around some of my curse by using the powers that came with it to fight against evil that came to Collinwood far more than any household should ever have to encounter. The hardest thing was realizing that I could not do this alone, and that those dear to me like Julia also had to risk their own safety to help me. She told me many times that I could not be expected to risk my life for hers if I would wouldn’t accept that she would be prepared to do the same for me. I feared losing her more than she ever knew- although she didn’t quite know how much I cared, she trusted me to always be there for her. I couldn’t fully express my gratitude to her, and when I made attempts to she would shrug it off and state that I had helped her many times. I had lost so much, that losing my best friend was unthinkable- this was one sacrifice I was determined not to have to make, even if it meant the loss of my own life. With sacrifices also come gratitude, or as I have come to believe, from my own experiences it is wise to never lose sight of that-being thankful for the kindnesses our friends show us. I realise that this hasn’t been an easy read, but I wish to finish with something positive, and also an apology for such a difficult subject, but sometimes my memories are melancholy and I can’t seem to help myself, and need to explain what I experienced and felt, and reflect upon it all.